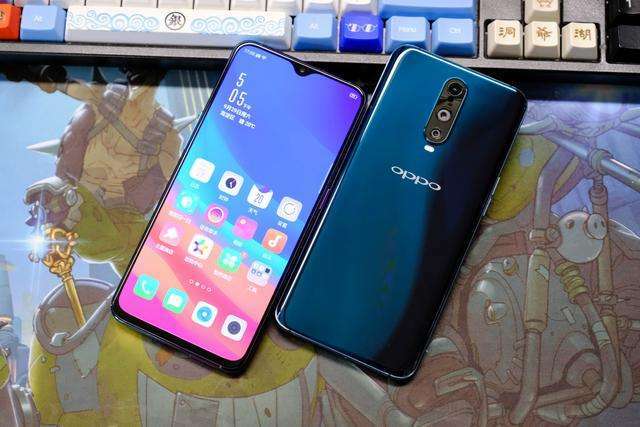 Oppo unlike other Android OEMs who are just copying each other is trying to be innovative since a couple of years, and so far we have seen quite a few new things such as the Oppo Find X with it’s cool looking pop camera mechanism and the rotating camera and such. 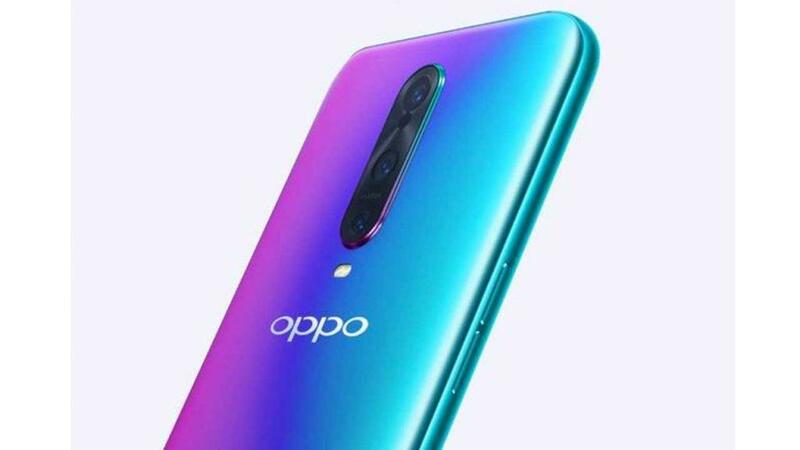 Now once again the rumor mill is churning out some pretty new evidence of an upcoming Oppo flagship device which again features some industry first things that we will see. So without any further ado, Let’s take a quick look at the rumored Oppo R19. 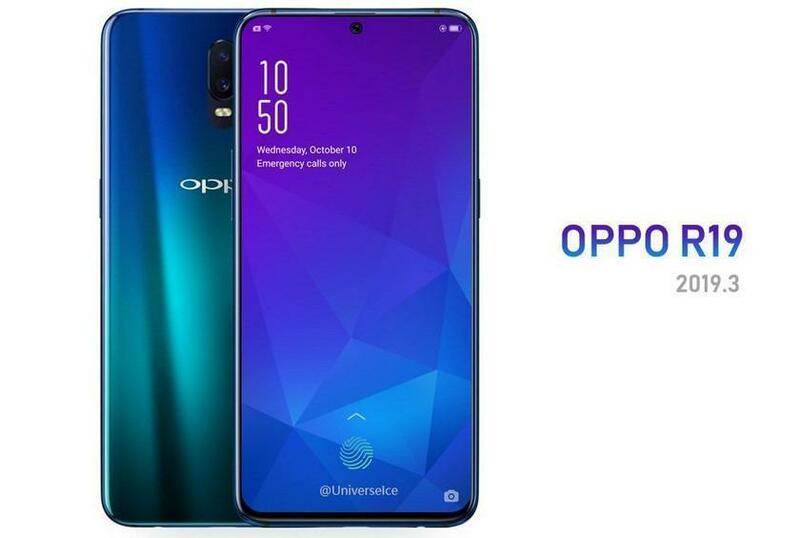 A new design concept has been leaked, and this one shows the upcoming Oppo R19 which will be the flagship smartphone from the Chinese giant if we don’t get to see a Find X2. Oppo R19 can be the Oppo’s next flagship to come with the innovative island camera design, which will be first of it’s kind. 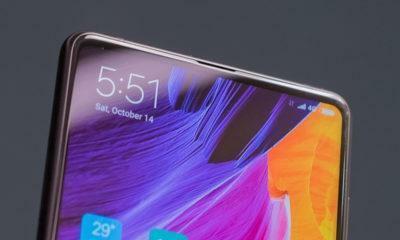 Think of it as the water drop notch, without the drop’s circular area touching the top bezel. We yet don’t know whether this requires to punch a hole within the display or not, or whether that area of the display becomes transparent, but we are sure that this doesn’t have any mechanical parts. Because every time, oppo tries to achieve a very slim profile. Apart from that, we will also an under the display fingerprint scanner which will be the most refined version of the technology yet and will be as fast as our traditional scanners, because this isn’t a first gen technology anymore. Oppo always uses the Snapdragon 600 series chipsets for its flagship, and its predecessor came with the Snapdragon 660 and now with the Snapdragon 670 already out that could be the most liable contender that will end up under the hood of the Oppo R19. Recently, however, Qualcomm has also launched the Snapdragon 675 which sounds like a slightly better version of SD 670, but it is much more powerful and highly capable. The Snapdragon 675 is based on the new Kyro 460 architecture, which uses the almighty Cortex A-76 which can also be found in Huawei’s top silicon Kirin 980 so you can imagine the amount of raw horsepower it has. Two 2.0GHz core for heavy lifting based on Cortex-A-76, while the other six cores here are based on the super-efficient Cortex-A55 clocked at 1.77GHz, so it’s will sip less juice but can handle most moderate to low level tasks with ease. In the memory department, a 4GB RAM model paired with 64GB of storage and a 6GB RAM model with 128GB storage will be offered, and it will also come with an sd card slot, but same can’t be said for the 3.5mm headphone jack. A 5.9-inch 19:9 Full-HD+ AMOLED panel will be dominating the front of the R19 with thin side bezels and a chin at the bottom. On the camera front, dual camera setup is a new norm now, however, if the Oppo R19 comes with the Snapdragon 675, as stated above, then we could see a triple camera setup as the SD 675 has support for that specific purpose. Along with that on the front, a Dual-Camera setup for portrait front selfie is a must with a selfie flash as well. The software is not the strong side of Oppo, as their colorOS takes a lot of cues from Apple’s iOS, but the update cycle could be better this time around. The Oppo R15 is one of the first devices to run Android Pie 9.0 beta along with the Pixel devices so you could also expect something similar next year when Android P 9.0 comes up later in 2019. Keeping the lights on will be a battery powered by Oppo’s VOOC charge which promises 5 hours of battery life with 20 minutes of charge. However, there’s no rumor about the battery capacity yet. 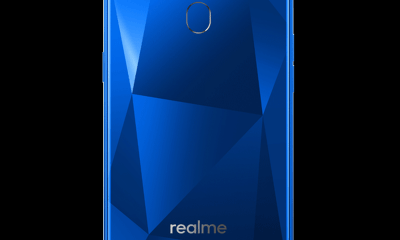 The device will arrive by the mid of next year, somewhere around the Q2 end and will bring the new island camera design which will be followed by many Android OEMs, especially by Vivo and Xiaomi and also by Oppo’s sub-brand realme. The Q2 is around June 2019 and will be first announced and available in China exclusively for a few weeks before going for a global presence. The Oppo R15 was priced as a premium mid-range, and a similar thing is expected with the R19 which will be launched at the same price with a new notch design. Whether or not an 8GB RAM variant will come is not known, but if it comes, it will surely cross the $500 mark. I’ve got, and love my R15 Pro. The R19 will have to be full on fantastic for me to feel the need to upgrade.